$207.438 million on 4349 screens. With 2012’s The Avengers, we got a film that literally followed years of anticipation. Going back all the way to 2008’s Iron Man, we found Marvel superhero movies that pointed toward the eventual arrival of Avengers. These delivered hints at what would come and allowed anticipation to build. When Avengers actually appeared, it succeeded beyond all expectations. It ended up with a US gross of $622 million, a number that left it as the third-highest-earning flick in American box office history at that time – and it would’ve made it to second without the 2012 3D reissue of Titanic. A mysterious cube called “the Tesseract” opens a portal to another dimension and allows for immortal baddie Loki (Tom Hiddleston) – the brother of thunder god Thor (Chris Hemsworth) – to enter the Earth. Loki uses his powers to grasp control of scientist Dr. Erik Selvig (Stellan Skarsgard) and SHIELD Agent Clint “Hawkeye” Barton (Jeremy Renner) while he also steals the Tesseract and flees. This sets up a crisis of epic proportions and forces SHIELD Director Nick Fury (Samuel L. Jackson) to invoke the “Avengers Initiative”. This gathers together some of the planet’s most powerful heroes to work together to combat Loki and his evil plans. We watch as Thor, Captain America (Chris Evans), the Hulk (Mark Ruffalo), Agent Natasha “Black Widow” Romanoff (Scarlett Johansson), and Iron Man (Robert Downey, Jr.) join forces and learn how to function as a team. I applaud the audacity behind Avengers. Marvel took a real gamble on the property, as it represented something unprecedented in the way it brought together so many actors/characters from various properties. Sure, Avengers existed as a comic for nearly 50 years, but the film version came together in an unusual manner, especially since those post-movie codas that set up the situations left Marvel with little “wiggle room”. Any slippage along the way and Avengers could’ve been DOA. As a film, I must admit I don’t feel as enthusiastic about Avengers as I might like. Oh, don’t take that as a slam, for I think it’s a perfectly entertaining movie. However, I think the Christopher Nolan Batman films raised the bar for superhero flicks, and it becomes more difficult for me to muster enormous enthusiasm for movies that fall short of that level of greatness. This doesn’t mean I don’t enjoy anything sub-Dark Knight level – if I rejected everything that didn’t match up to that series, I’d never like anything - but it means that I find it tougher to feel bowled over by lesser lights. Perhaps Avengers would’ve had me really jazzed in 2007, but in 2012, I just couldn’t go bonkers for superhero movies that aren’t as memorable as the Nolan Batman efforts. As I’ve learned since 2012, Nolan didn’t ruin other comic book flicks for me, and I still view Avengers as an enjoyable action flick but not one that reaches any kind of level of greatness. Actually, that was true for all of the Marvel movies that led to this one. From Iron Man to Incredible Hulk to Iron Man 2 to Thor to Captain America, we got a series of good, likable efforts but not a single one that I felt compared to the genre’s strongest entries. And that holds true with Avengers. Obviously many will disagree – plenty of people seem to view it as the best superhero movie ever – but I just can’t figure out what would lead one to see it that way. I guess my biggest complaint is that the movie doesn’t have the heart or depth of stronger flicks like the Nolan Batmans or the Sam Raimi Spider-Mans. Oh, Avengers tries to push the usual buttons of sacrifice and heroism, but they feel somewhat perfunctory. I just don’t invest in the characters as much as I should; they’re all likable and admirable but a stronger connection goes missing. It doesn’t help that Avengers comes with a weak villain. Loki wasn’t especially interesting in Thor, and his reprise doesn’t make him any more compelling. I’m not sure why they chose to build a second film around the character; it’s not a fatal flaw, but I would’ve preferred a new, fresh baddie. Avengers also can plod somewhat during its first half. This seems inevitable, as it must tell the team’s “origin story”. Granted, it gets off easy compared to most flicks of this kind; they need to introduce entirely new scenarios and characters, while Avengers comes with already established personalities and situations. Still, it must bring them together in a new way, so it has its own clunky narrative issues with which to contend. The film handles these acceptably well, but I nonetheless think the first half can drag as we work toward the real action. Once the movie gets everyone in place and heats up, it becomes more enjoyable. I do think the final third works quite well and shows some of the series’ potential. It also manages to balance the characters surprisingly well; some seem a little more dominant than others, but not to a substantial degree. At the end of the day, as much as I want to love Avengers, I merely like it. Unlike better superhero movies, it just doesn’t stick with me. It offers decent entertainment across its running time but doesn’t stay with me beyond that. Chalk it up as a likable but insubstantial diversion. Footnote: stick around through the end credits for two bonus segments. One hints at the sequel’s direction, while the other offers a bit of fun. 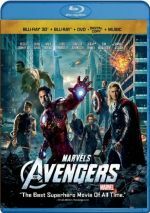 The Avengers appears in an aspect ratio of approximately 1.85:1 on this Blu-Ray Disc. Though usually quite good, the image wasn’t as consistently impressive as I expected. Actually, only one notable concern popped up here: black levels. Most of the time, these looked pretty deep and tight, but a few exceptions caused distractions. Nighttime shots tended to show somewhat mushy blacks and murky shadows. These weren’t a huge factor in the movie, but they created sags in an otherwise strong presentation. Sharpness always looked great. Throughout the movie, I saw crisp, detailed elements without hints of softness. Jagged edges and moiré effects failed to cause concerns, and the movie lacked edge haloes. Print flaws also remained absent. In terms of colors, Avengers went with a mix of stylized elements. Some scenes went with an aqua blue, while others tended toward amber or alternate tints. The blues were the only really prominent tones, as the others veered closer to a natural feel. Whatever the choices, the hues looked fine and fit the movie well. Without the issues connected to the blacks/shadows, this would’ve been an “A”-level transfer, but as it stood, I thought it merited a “B”. As for the DTS-HD MA 7.1 soundtrack of Avengers, it worked well, as the movie presented an engaging soundfield. Not surprisingly, its best moments related to the mix of action scenes. These helped open up the spectrum pretty nicely. Otherwise, we got good stereo impressions from the music along with solid environmental material. The latter reverberated in the rear speakers to positive effect, and lots of unique action material popped up there as well. When we shift to extras, we launch with an audio commentary from writer/director Joss Whedon. He delivers a running, screen-specific look at how he came onto the project, story/character/script topics, working with 3D, cast and performances, sets and locations, effects, stunts and action, music and editing, inspirations, and a few other areas. I loved the handful of Whedon commentaries I heard prior to this one, and his Avengers chat lives up to expectations. Whedon handles the format like a champ, as he delivers a lot of information in a brisk, concise manner. Throw in plenty of humor and this becomes another terrific piece. A new short film called Marvel One-Shot: Item 47 lasts 11 minutes, 20 seconds. It shows a couple named Bennie (Jesse Bradford) and Claire (Lizzy Caplan) who find a piece of alien technology after the events depicted in the movie. They go on a bank robbery spree and attract the attention of SHIELD. It’s a fun little romp. Eight Deleted/Extended Scenes fill a total of 14 minutes, 58 seconds. Possibly the most interesting pieces come from the alternate opening/closing that feature Agent Maria Hill; these put her in front of the Council to discuss various events. They’re not bad, though the opening feels more like a teaser than an actual movie scene. The film flows better without them, as they come across as somewhat clunky. A fairly long look at Captain America’s adjustment to modern society works fairly well, and it also sets up Cap’s connection to a woman who defends the Avengers post-battle. This probably acts as the most interesting of the scenes, but it likely would’ve slowed down the final film; it’s good but not exactly fast-paced. As for the rest, they tend toward added exposition. We see a discussion of the potential presence of the Avengers between Loki and Hawkeye, and we watch Fury in another discussion with the Council. Another shot shows tension between Hill and Fury, and we view a little more between Banner and a security guard. A longer fight scene offers extra action but looks silly here due to its raw nature; it features rough effects or none at all. I find these clips enjoyable, but none of them seem especially important. Next comes a four-minute, five-second Gag Reel. Most of this offers the usual goofs and fooling around, but we get a couple of more interesting bits such as Tom Hiddleston’s Dr. No impression. Two featurettes follow. A Visual Journey run six minutes, 28 seconds and includes notes from Whedon, executive producers Jeremy Latcham, Victoria Alonso and Louis D’Esposito, NASA representative Jerry Carek, producer Kevin Feige, director of photography Seamus McGarvey, and actors Scarlett Johansson and Samuel L. Jackson. The program looks at sets and locations, vehicles and technology, effects, and what Whedon brings to the project. “Journey” lacks a ton of substance but it throws out some decent details. 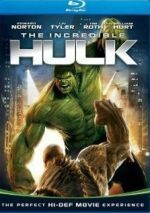 Assembling the Ultimate Team goes for eight minutes, eight seconds and features Whedon, Feige, Johansson, Jackson, and actors Robert Downey, Jr., Chris Hemsworth, Mark Ruffalo, Tom Hiddleston, Chris Evans, Clark Gregg, and Cobie Smulders. We learn about cast and performances here – in a superficial manner, at least, as “Team” tends to be long on praise and short on depth. Lastly, we locate a Music Video for Soundgarden’s “Live to Rise”. It offers a standard mix of movie clips and lip-synch performance shots. It’s more attractive than many of its ilk, but it remains uninspired. The disc opens with ads for Frankenweenie, various Marvel movies, the Avengers Alliance game, and Marvel Universe. These also appear under Sneak Peeks along with promos for various ABC TV series. No trailer for Avengers shows up here. On a second disc, we get a 3D version of Avengers. The technical comments address the 2D edition – what does the 3D platter bring to the table? In terms of quality, the 3D image matched well with the 2D presentation. Like the 2D, the 3D had some difficulties with low-light shots, but I accepted those more readily because semi-murky shadows tend to come with the 3D territory. Otherwise, definition and colors worked fine. As for the 3D imagery, I liked it – especially in the final portion of the movie. During the first two-thirds, the 3D seemed good but not great. Oh, the picture offered a nice sense of depth and was occasionally immersive, but it wasn’t a killer visual approach. Matters improved during the final act, though, because that segment featured a lot of what 3D does well: flying elements. Those components cropped up often through the climactic battle and added a lot of visual pizzazz to the proceedings. That helped turn this into a fun 3D experience. 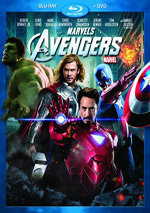 A third disc provides a DVD Copy of Avengers. 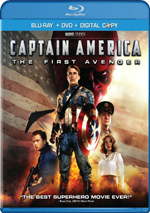 This gives us a retail version with Whedon’s commentary and the “Ultimate Team” featurette. As a old-time comic book fan who has owned a copy of Avengers #1 for 30-plus years, I want to love the series’ big-screen debut. Unfortunately, I don’t; while I think it’s a reasonably fun film, it’s never better than “pretty good”. The Blu-ray comes with generally positive picture, excellent audio and a decent set of supplements highlighted by a delightful commentary. 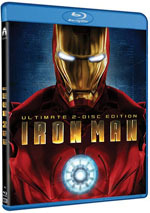 Avengers fans with the proper technology should grab this 3D version, as it’s the most fun way to see the film.